Time for another meat free Monday recipe. 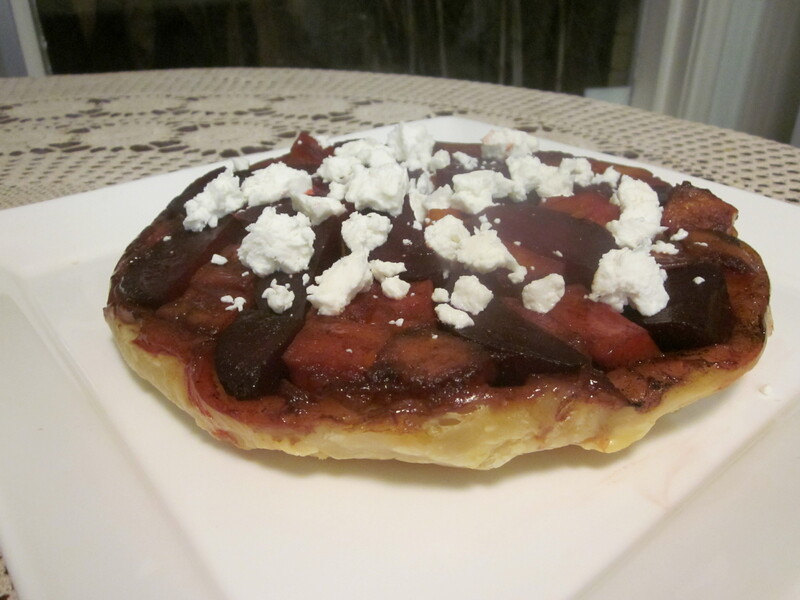 I have never made a tarte tartin before, and instead of trying the normal sweet variety, I decided I wanted to make a beetroot and pumpkin one. I looked at a few different recipes, but couldn’t find what I wanted. So I made this one up as I went. I did cheat and used bought puff pastry. I’m not quite up to home made puff pastry, but I’m almost there. I made a great rough puff in class the other week (which I will post about next). I was very happy with the end result flavour wise. The balsamic vinegar is a great match for the earthiness of the beetroot, and there is a nice savoury sweetness from the caramelised onions and roast butternut pumpkin. And of course the crisp puff pastry and ‘caramel’ (in this case reduced balsamic and brown sugar). 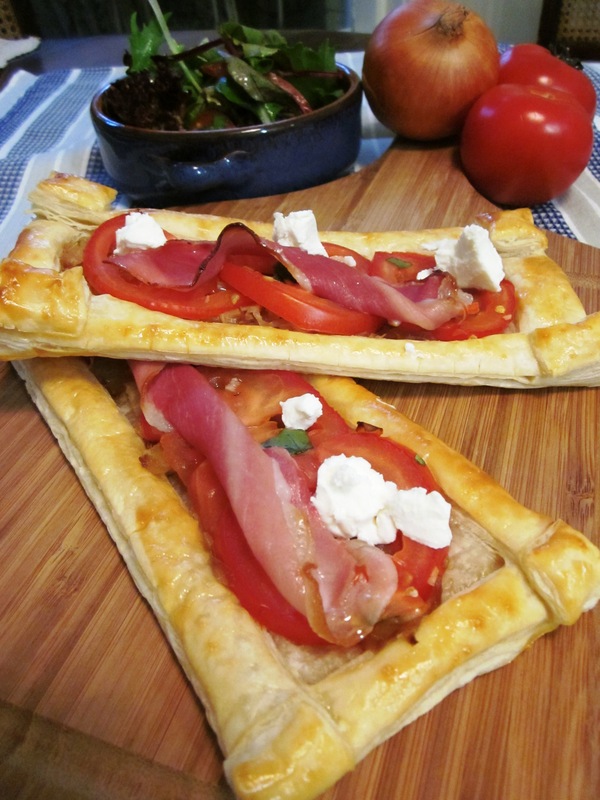 Unfortunately I didn’t quite cook my pastry enough when I made this for the first time, however the next day when it was cooked for an extra ten minutes it was perfect, so I have adjusted this recipe to give the pastry that extra ten minutes.